- Italian sizing. - Runs true to size. - The mannequin is wearing an IT 42. Origami detailing is set to be a hot trend for spring '09, so fashion a work-appropriate look by teaming this white Miu Miu top with cigarette pants and classic pumps and punctuate with a tangerine tote. Shown here with Miu Miu shoes, bag, skirt and cardigan. 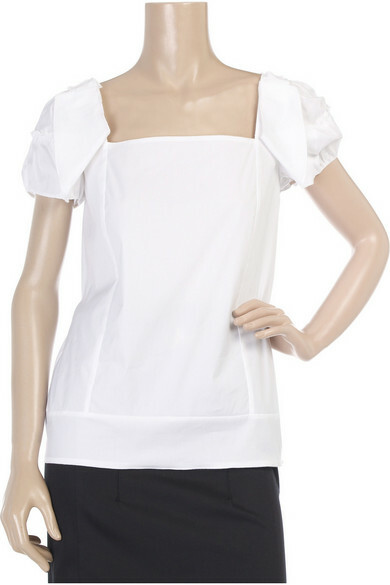 White stretch cotton blend cap sleeve top with origami style sleeves. 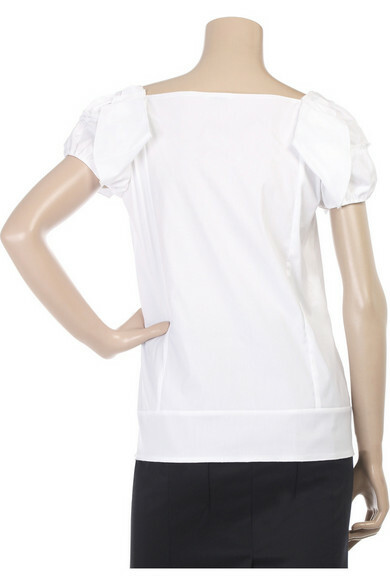 Miu Miu shirt has a square neckline and stitched panel detailing. 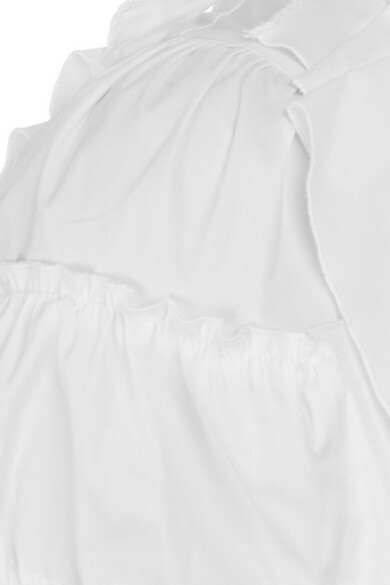 72% cotton, 23% nylon, 5% elastane. Dry clean.